I cannot stay too far away from punching out flowers when its comes to embellishments.. something just overcomes me, and I reach for the punches. I really had no 'idea' when putting this card together - except that I needed to use up some scraps. I had to really think about the flower center, since it will be mailed, I couldn't have too many layers. Using the Expresso as my card base, it gave me the blend of autumn colors I love! Of course, it helped that most of the other stuff was laying nearby to grab and put together. The ribbon is alittle thicker than I like, but the texture completes the look. 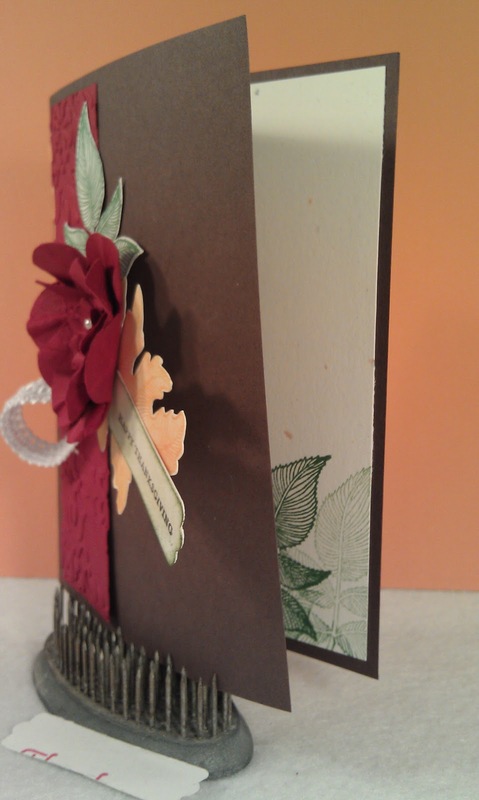 I added some Garden Green in the inside and then cut out the same leaf and added it to the front. Something tells me that I should dig around and make a few more of these. 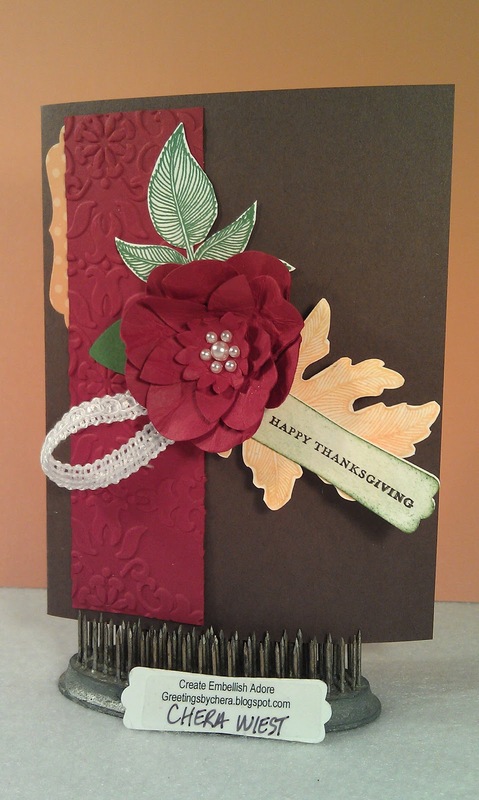 WHO WOULDN'T LOVE A CARD LIKE THIS FOR THANKSGIVING? very pretty, I like the flower, but I love that ribbon!